Pam was later shown that the Earth had been put into a time loop distortion. Furthermore, she has just recently broken free and is moving towards the stargate back to the time dimension she came from. After the fall of Atlantis, Pam says Earth was captured and forced to go through the portal that brought her into a 3rd dimensional prison. Coming from the 5th dimension into the 3rd dimension also caused all of those earth changes from the last upheaval. Next, Pam described how she sees our bodies make the change: “As the wave finally engulfed us, our soul essence was transferred and detached from our physical body and reattached to our astral body. Then in a flash our astral bodies started to absorb and transmute the essence of our physical bodies through some kind of umbilical cord that was connected through our solar plexus. There was a sucking feeling, like when you are drinking a thick milkshake through a straw. As the transfer took place, the physical body diminished and the astral body became filled with strength. There was no pain involved. In fact, what you felt was a complete healing and transformation that was filled with LOVE and peace. It left us feeling radiant and strong, instantly healthy and complete, with a true sense of well being and wholeness. I could feel the strength of my new body and knew that I was at least 7 feet tall. As the process finished, my astral body started to crystallize and then become solid. The only thing left of my physical body was a residue of dusty powder which I noticed all over my arms. I immediately brushed it off”. Just this past week, the being Pam calls Father shared some more information on what is about to happen in our 3rd dimension. He started by asking Pam questions on the chemtrails that have been marking our skies. He asked if Pam knew the purpose of what they were doing to us, especially why they we spraying the Earth with smart dust nanoparticles since the late 1990’s. “Father” said that these particles are in our soil, our bodies, our animals, and all of the vegetation on the planet. He then added CERN and Wave X to the mix to see if Pam could see any connections. Wave X is the term created by Dr. Simon Atkins that may be describing Pam’s wave in her NDE. One of the objectives of CERN might be to stop Wave X. Pam says, “As I was pondering what the heck was the plan of all of these things, he started connecting the dots for me by stating that “they” were planning a FAKE Ascension, and that this was the Great Deception that has been planned along.”. 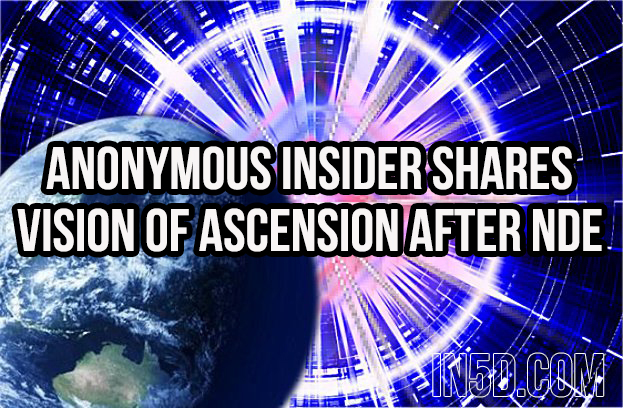 CERN might be a part of this fake ascension as well.